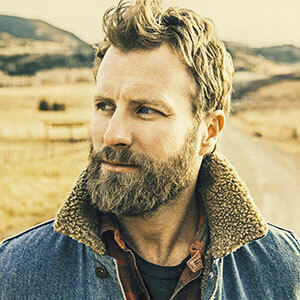 You may know him as Dierks Bentley, but the singers real full name is Frederick Dierks Bentley, and he has been in the country music scene since 2003. The 43-year-old singer has made quite the name for himself, even if it’s his middle name. Dierks Bentley has had number one singles like “What Was I Thinkin?”, “Free and Easy”, and “Say You Do”. Dierks is doing very well for himself, with a reported net worth of 30 million dollars. He’s no stranger to the spotlight, and we are happy for that! Dierks is a very fan oriented musician, who always wants to hear the viewpoint of the people that matter the most. Growing up in Phoenix, Arizona with his mother, father, and siblings, the family had a strong country background. Dierks sister and brother are not in the music profession, but they all have a love for country music, thanks to their father, Leon Bentley. Dierks attended a private school up until he graduated high school, and then he went on to The University of Vermont, but didn’t stay there for long. He eventually transferred to Vanderbilt University, where he achieved his goal of getting a college degree. It was only after he graduated that he decided to pursue a music career. The singer has nine studio albums under his belt, the most recent album is The Mountain, which was released in June of 2018. One of the most popular songs on his latest album is “Burning Man”, which is what he subsequently named his tour after. There are quite a lot more Dierks Bentley songs to listen to on his albums but seeing him live is a wild ride. His tour kicks off in 2019, with really awesome special guests. Most of Dierks albums have reached number one status, and more than 15 of his singles have reached number one. He definitely knows what he is doing! Luckily, Dierks doesn’t have to tour alone, because his wife Cassidy Black will be by his side. The couple wed in 2005, after dating for many years. They even grew up together. Cassidy and Dierks met when they were in 8th grade! Every photo that you see of the couple together, you can tell how in love they are. Dierks and his family are picture perfect. The couple does like to keep some information private, like Cassidy’s age. Of course, we all know we shouldn’t ask a woman’s age anyway. Along with his wife, Dierks has three children. Two girls and a boy. Jordan Catherine Bentley, who was born on Christmas day in 2010, Knox Bentley, who made his debut in October of 2013, and Evalyn Day Bentley, who is their first born, in 2008. The children live in Nashville with their parents. His eldest daughter Evalyn, has even debuted on one of DIerks albums. Dierks seems to be an all-around great American man and father, he’s doing well for himself and his family. The successes keep pouring in! We can’t wait to see what the future holds for this country man.